The 2016 NCAA Indoor Track & Field Championships will be held next Friday and Saturday at the Birmingham CrossPlex in Birmingham, Ala. We’ll be previewing the mid-d and distance events (800, mile, 3000, 5000 and distance medley relay) one by one. 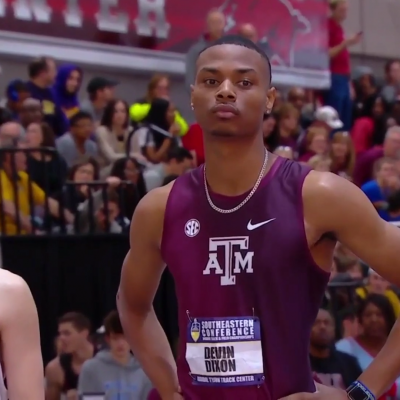 Since USA Outdoors are also next week, we’re starting our previews early and we’ll start with the 800 meters. The women’s preview appears below. TV/Streaming: The meet will be streamed live on ESPN3.com. Ce’aira Brown SR Hampton 2:03.77 2:03.76 Ran 2:03.76 outdoors in 2014. Annie Leblanc SR Oregon 2:03.84 2:01.87 Went out in semis of NCAA outdoors then ran 2:01.87 3 days later. Morgan Schuetz JR LSU 2:04.05 2:03.12 Didn’t make final indoors our out last year. Olivia Baker SO Stanford 2:04.10 2:04.00 World jr bronze medallist at 400 in 2014. Crushed the field at NCAA outdoors, becoming just the fourth woman in NCAA history to break 2:00 (1:59.71). Rogers was a true freshman at the time. Won U.S. and Pan Am junior titles. Broke the collegiate 600 record (running 1:26.34) in her first race of the season. Ran the #2 indoor 800 in NCAA history, 2:00.90, at the Millrose Games. Rogers exists on another plane from the rest of the NCAA. The difference between her SB and that of the #2 collegiate performer this year (2.20 seconds) is greater than the difference between the #2 performer and the #25 performer. As long as Rogers avoids food poisoning and stays on her feet at NCAAs, she will win the title. 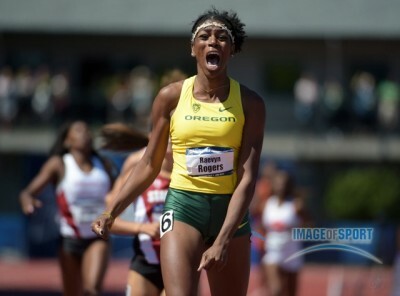 The more interesting question is whether Rogers will get the meet or collegiate record. 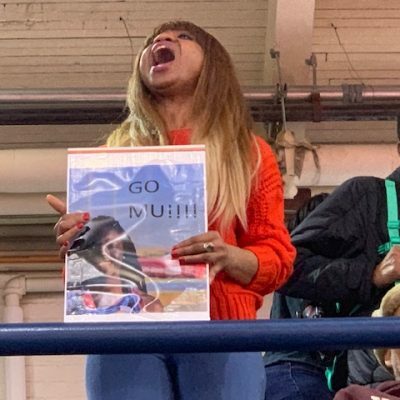 Last year, Clemson’s Natoya Goule went out in 56.63 for the first 400 and blazed to a 2:01.64 clocking, winning by almost two seconds and setting the meet record in the process (old record was 2:01.77, the collegiate record is 2:00.75). Rogers’ best times have come when she’s been able to follow a fast pace up front, and without anyone to push it this weekend, it will be harder for her to run in the 2:00/2:01 range. And considering that she could also feature on the Oregon DMR and 4×400 relays, she doesn’t have an incentive to run extremely fast. But she remains the class of this field; it would be a huge upset for anyone else to win. The fight for second should be very interesting. The top returners, Olicia Williams of Baylor (3rd last year) and Hanna Green of Virginia Tech (5th) both won their conference meets but haven’t run as fast as they did last year. Meanwhile, #2 seed Sabrina Southerland of Georgetown was only second in the Big East 1k (though it took a collegiate record to beat her) and #3 seed Cecilia Barowski of Princeton was only 5th in the Heps 1k (though she was doubling back from the 500). Stanford’s Claudia Saunders has the best PR outside of Rogers (2:00.63) and was the runner-up at NCAAs outdoors last year, but she hasn’t won any of her four individual races in 2016. LRC Prediction: Rogers wins handily but relay duty means that the NCAA (2:00.75) and meet (2:01.64) records will remain intact. 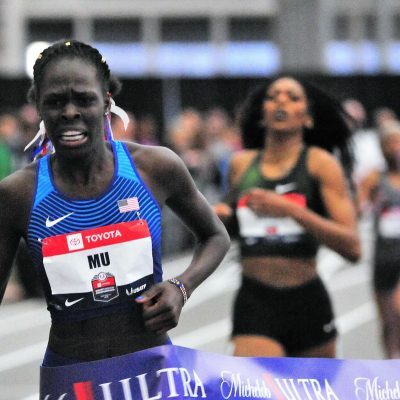 Who wins the women's 800 at 2016 NCAA Indoors?